Choose from the burglary protection range. This includes safes, cabinets, vaults & vault doors, designed to withstand physical attacks in different strengths or Grades. Each Grade represents a particular “cash rating” which is the amount an insurer will cover*. * The actual amount of cover can vary between insurance companies and country, and may be different to the manufacturer’s recommended rating. You should always check what cover your insurance company is prepared to offer. To provide the appropriate level of protection, the products are tested to comply with the latest industry standards. 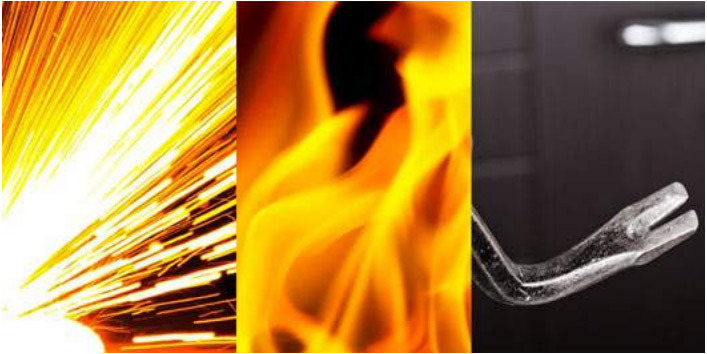 The various certification tests carried out in independent laboratories for burglary or fire protection are conducted by experienced operators armed with plans of the product and a whole range of tools. 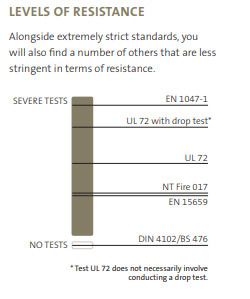 In order to fully protect data media, industry standards indicate that products should carry ECB S EN 1047-1, UL 72 Class 125 or NT Fire 017 60/120 DIS. The ECB S and UL tests monitor the internal temperature of the data cabinet until it has completely cooled down during the “soakout” period. Assessing products during this period is essential, since internal temperatures can peak up to six to eight hours after a fire has been extinguished. Such tests ensure that all products are comprehensively tested and, upon passing, will fully protect your data media for the specific time period stated. 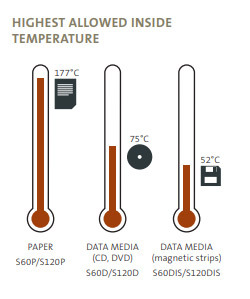 UL72-Class 350, ECB S EN 1047-1, EN 15659 or NT Fire 017 are acceptable standards for paper document protection.